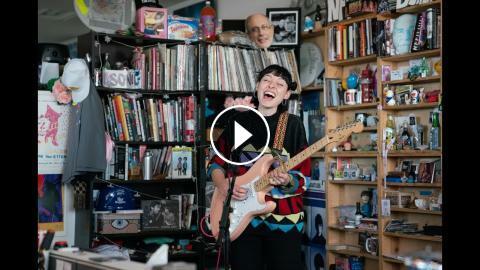 Jan. 22, 2019 | Robin Hilton -- When Stella Donnelly showed up for this Tiny Desk performance with just her guitar in hand, she immediately won the office over with her broad smile, warmth and good-natured sense of humor. It's the kind of easy-going, open-hearted spirit that makes her one of the most affable live performers you'll see. While there's no doubting her sincerity, she's also got a disarming way of making her often dark and brutal songs a little easier to take in.